Will US announce about lifting North Korean sanctions till the end of February? 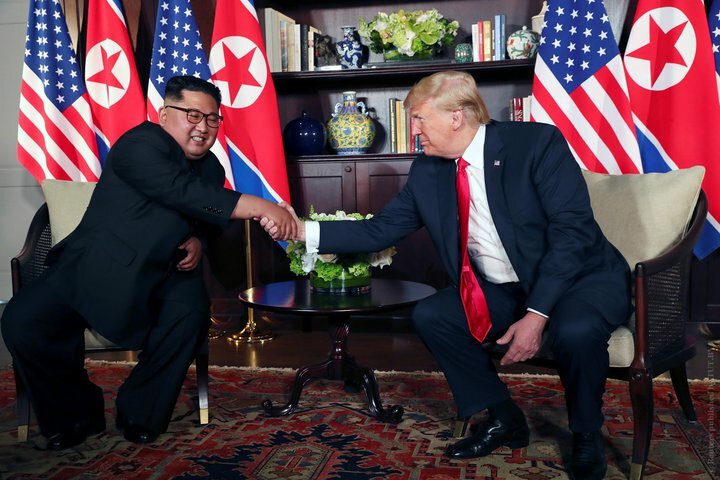 Donald Trump and Kim Jong-un are due to meet in Hanoi next week to discuss progress on the issue of North Korea's nuclear program since they first met in Singapore last year. Tramp announced, he would like to lift the sanctions on North Korea, but in order to do that, they are expecting something that's meaningful on the other side. Trump also added, that North Korea has "great" potential for economic development and suggested the Vietnam summit would not be the last. At their landmark meeting in Singapore last year, the US and North Korean leaders signed a document in which Kim pledged to work toward "the denuclearization of the Korean peninsula. ", but the sides haven’t gone fur since then. The two leaders are set to meet in Hanoi on February 27-28.